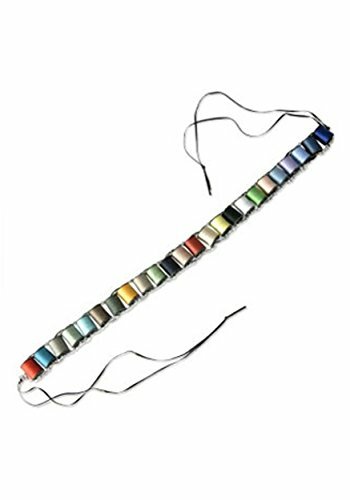 Bandolier with colorful spools of thread, connected by a silver chain and brown cords; 67'' long. You’ve got the costume, all that’s left are the tools of the trade. You’d be mad not to pair this Mad Hatter Thread Bandolier with your costume. You’ll need it for those quick fixes and repairs.